Saguaro forest during morning twilight in Saguaro National Park West, Tucson, AZ. Note all the blooming ocotillo due to decent winter rains this year. Ocotillo is a beautiful desert plant (but not a cactus) when it has moisture. When it is dry, it looks like a bundle of dead sticks. Canon 7D, Sigma 70-300mm APO f/4.5-5.6, ISO 100, f/18, 13 sec. 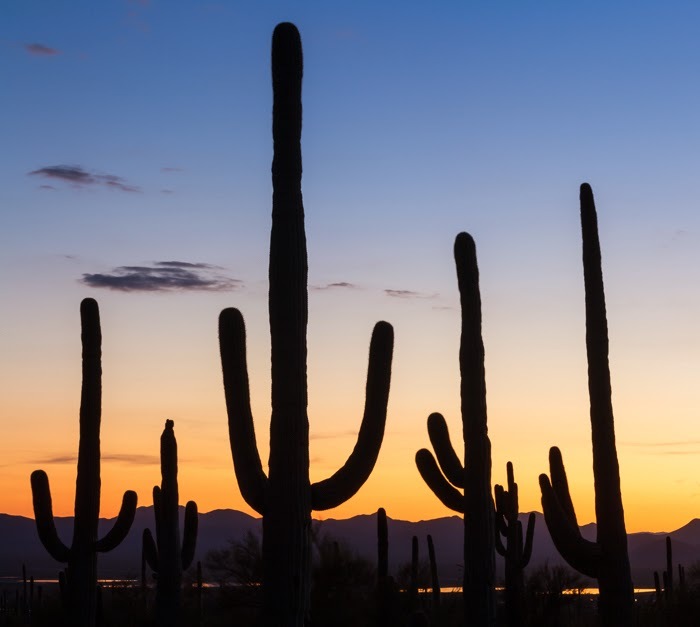 Saguaro National Park- West (or the Tucson Mountain District), which is where we spent most of our time, is home to an extensive saguaro cactus forest. 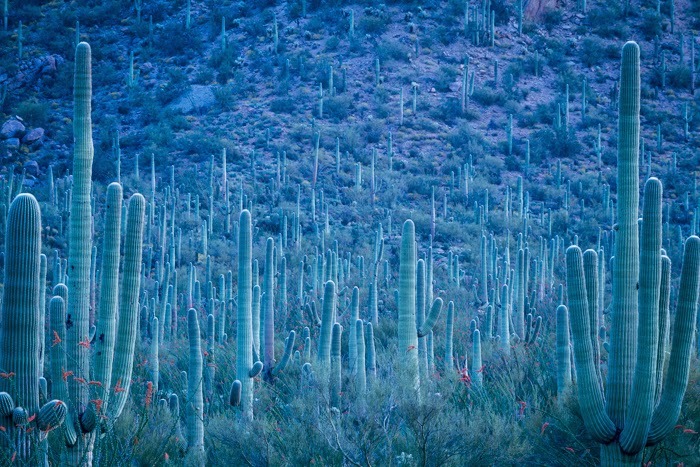 Here are a few images that give you a feel for being "inside" a saguaro forest. Stitched image (from 3 verticals) of the edge of the saguaro forest at sunset, Saguaro National Park West, Tucson, AZ. Canon 7D, Sigma 70-300mm APO f/4-5.6, ISO 100, f/18, 4 sec. Sunset pano (8 horizontal images) of the mighty saguaro cactus at sunset on the edge of the saguaro forest in the Tucson Mountain District of Saguaro National Park, Tucson, AZ. Canon 7D, Sigma 70-300mm APO f/4-5.6, ISO 100, f/16, 1/4 sec. This is really awesome, I just loved this very much.